Date : August to October, AD 68. Size : 17.0 x 18.5 mm. Weight : 3.22 grams. Grade : VF but bright and a touch rough from over cleaning. 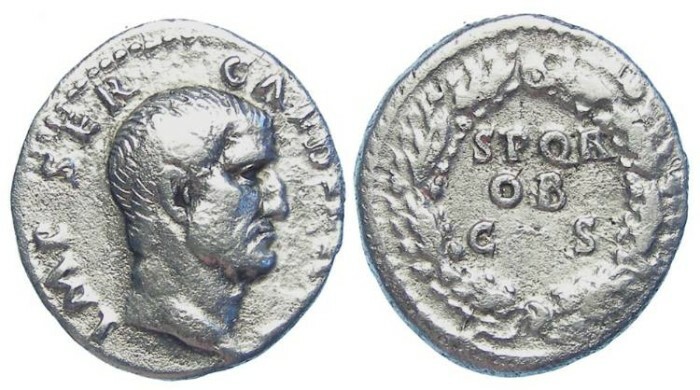 Obverse : Head of Galba right, with IMP SER GALBA AVG around. Reverse : SPQR OB C S in three lines, within a wreath.